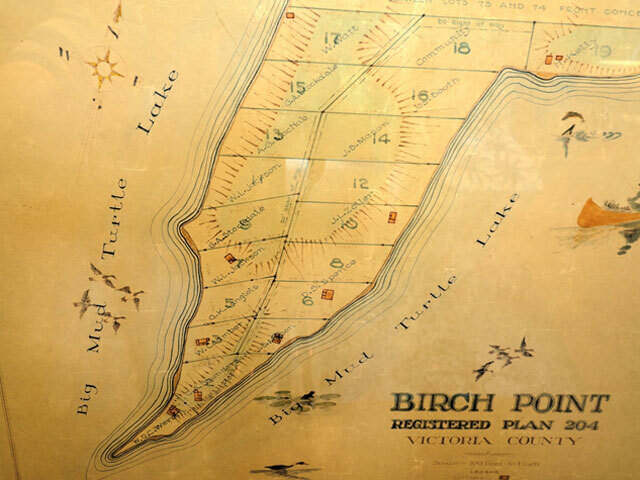 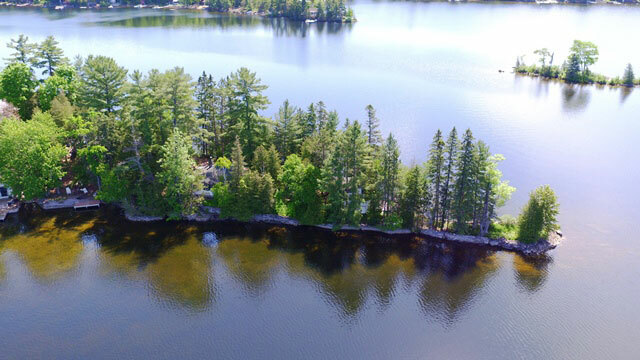 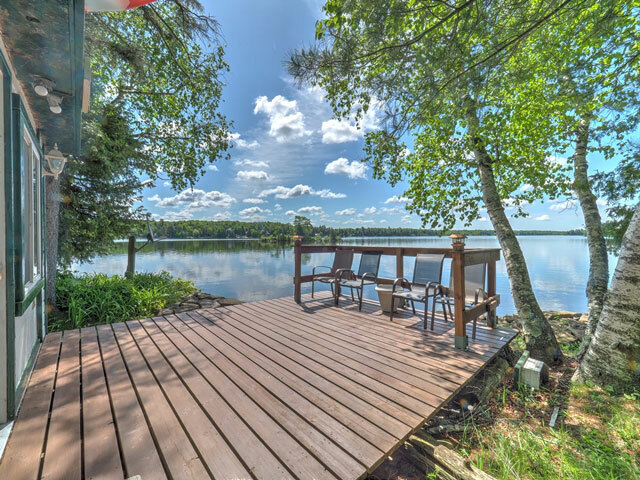 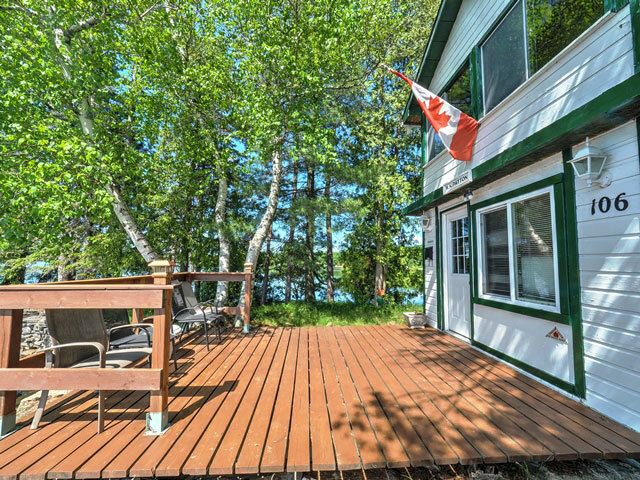 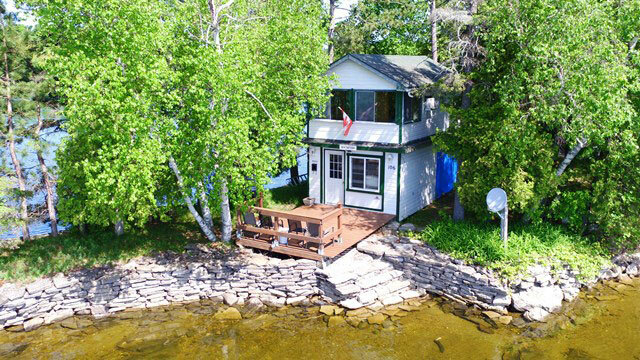 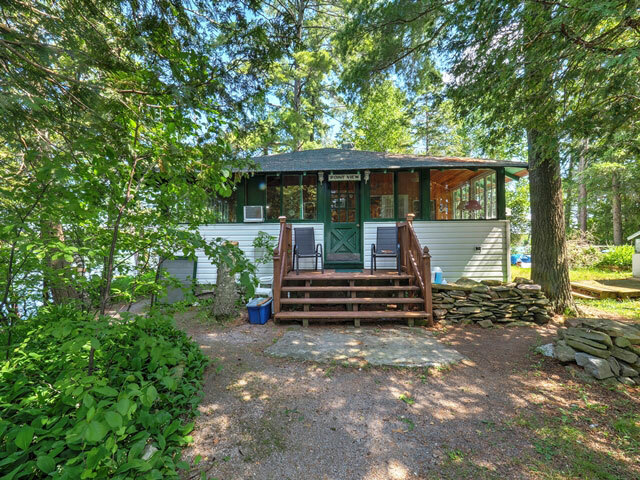 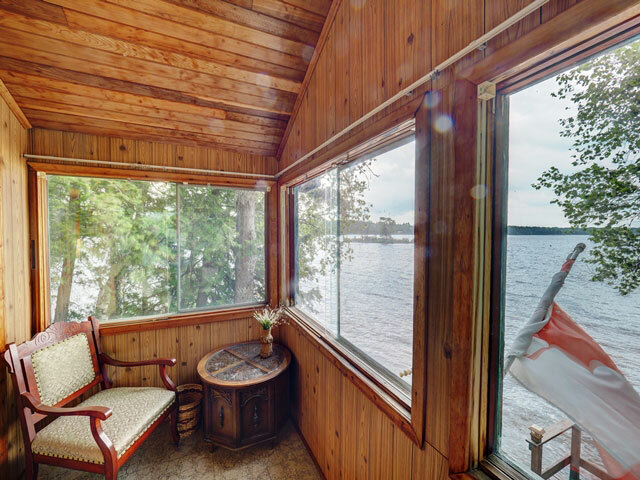 Many Shadow Lake cottagers will be familiar with this property on the tip of Birch Point, which is now on the market for the first time. 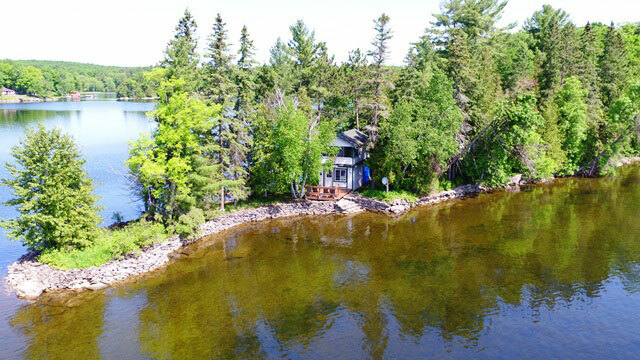 With 505 feet of waterfront at the end of the narrow peninsula, the south-facing cottage and boathouse is virtually surrounded by water. 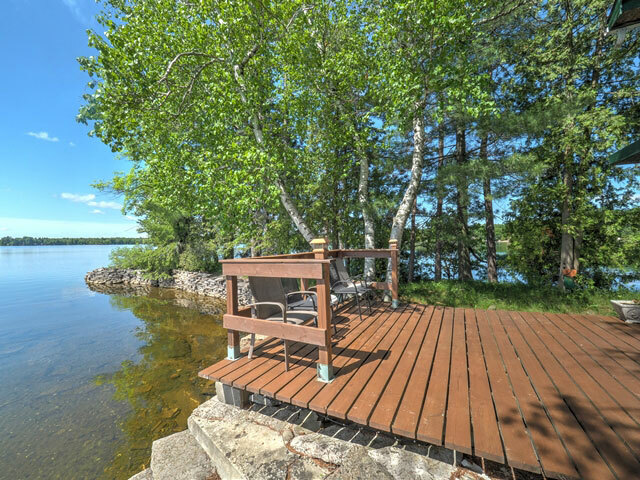 The result is a unique combination of privacy and intense connection to the water. 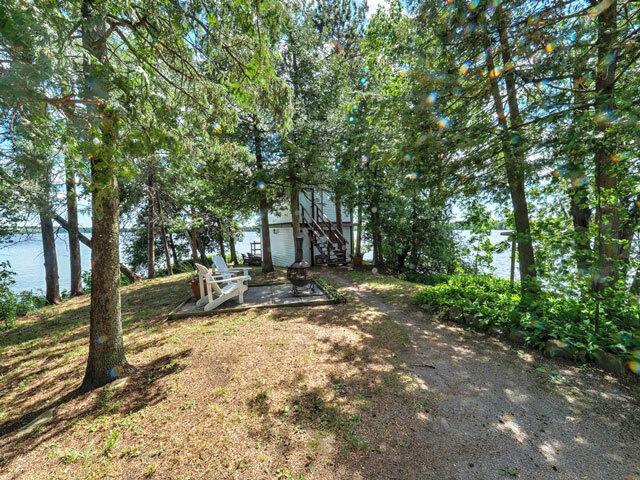 There are two buildings on the property. 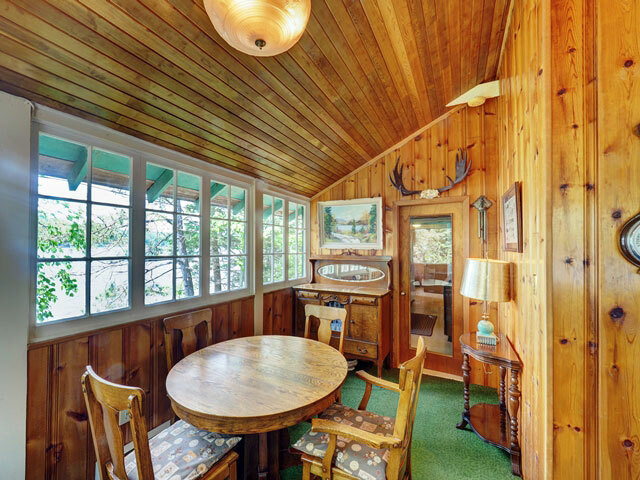 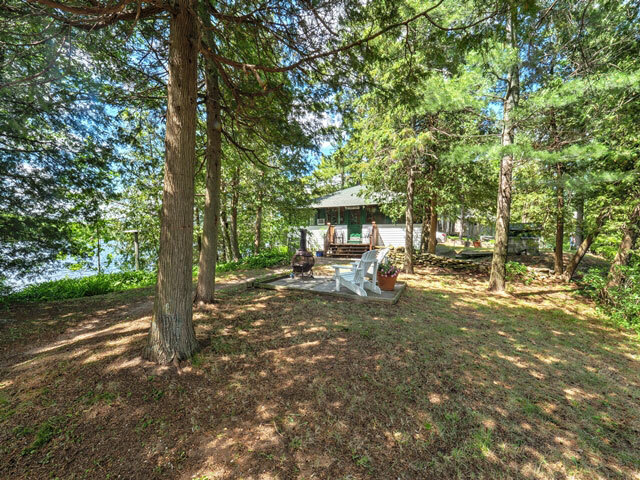 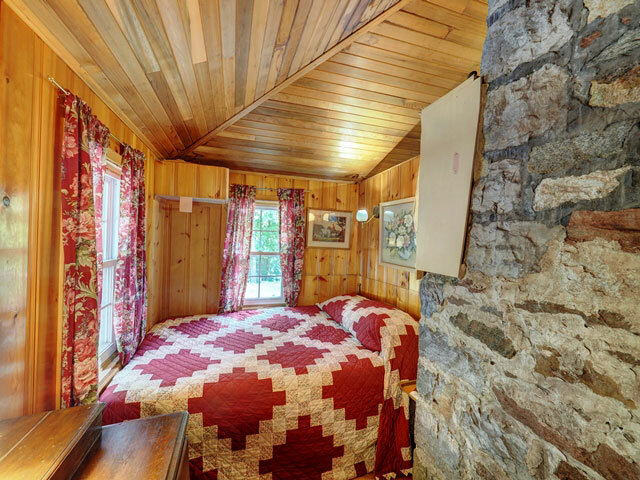 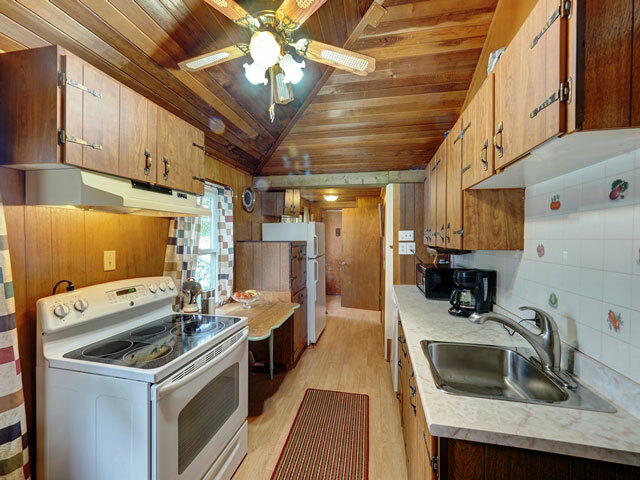 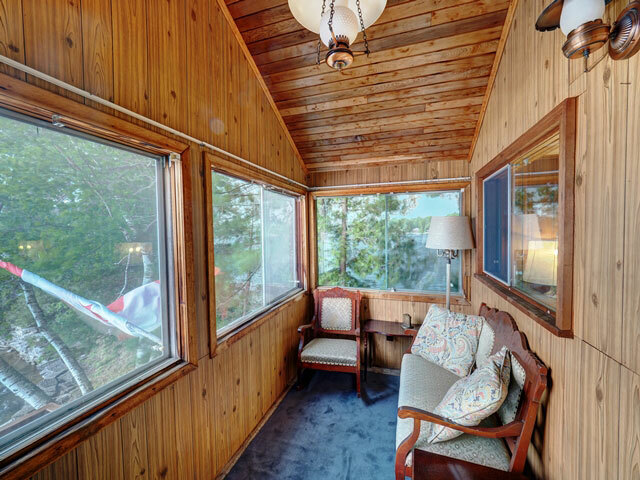 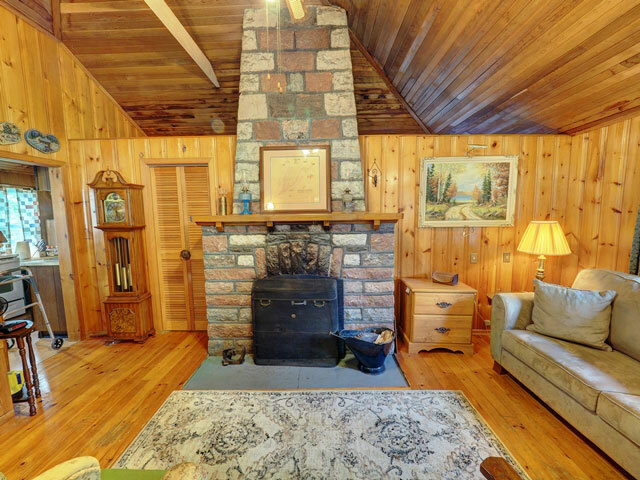 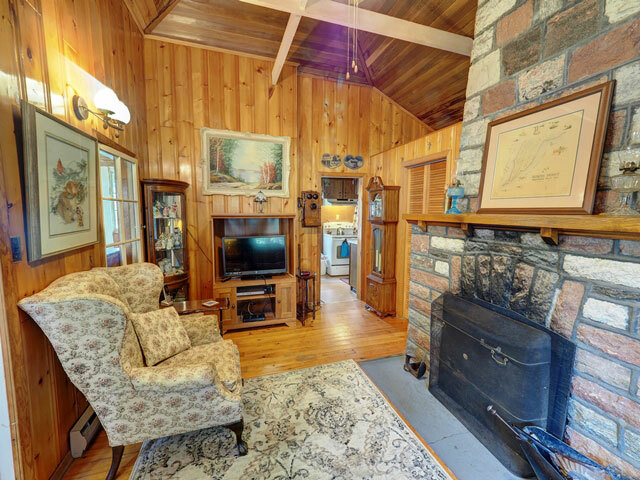 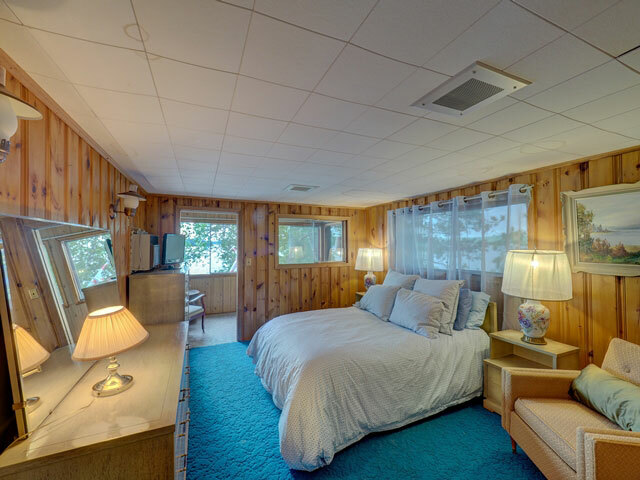 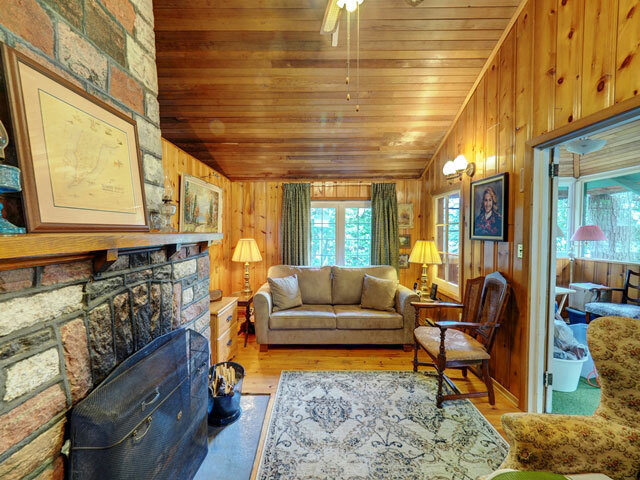 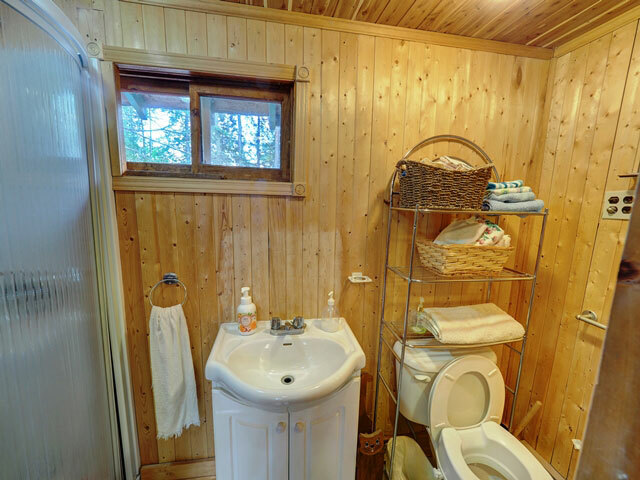 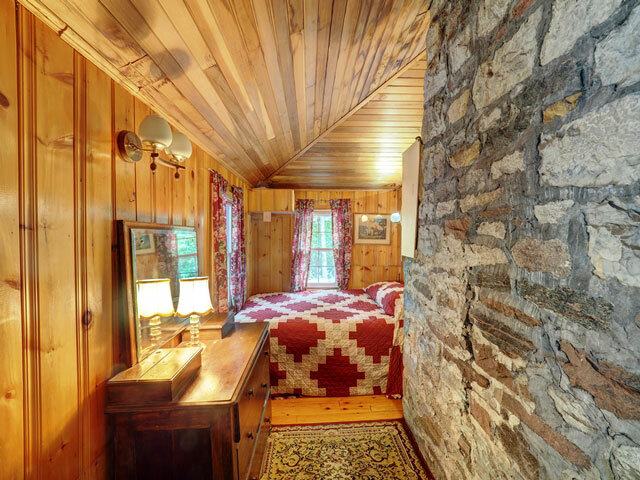 The main cottage is a one-bedroom bungalow with a wrap-around sunroom, vaulted ceilings and a large stone fireplace. 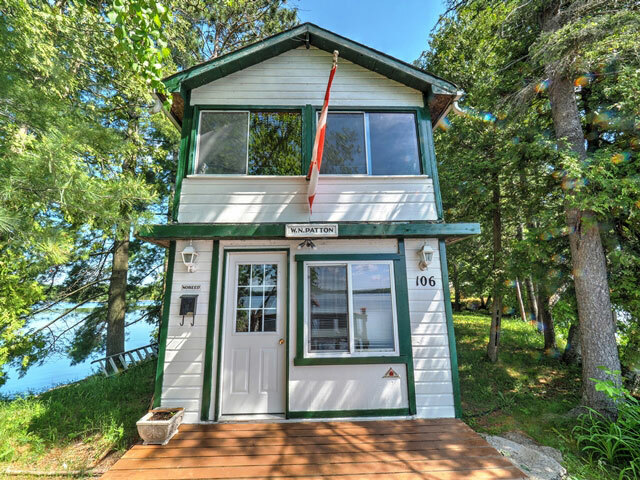 The second building near the tip of the point is a two-storey boathouse. 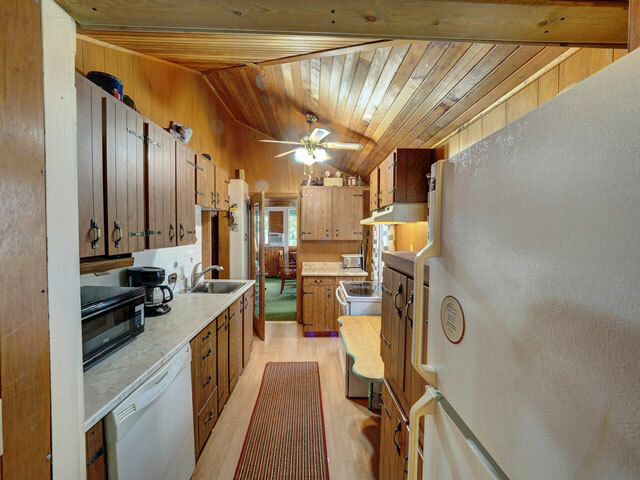 The top level has an additional bedroom, while the lower level is currently used for storage, but has potential for development for other uses. 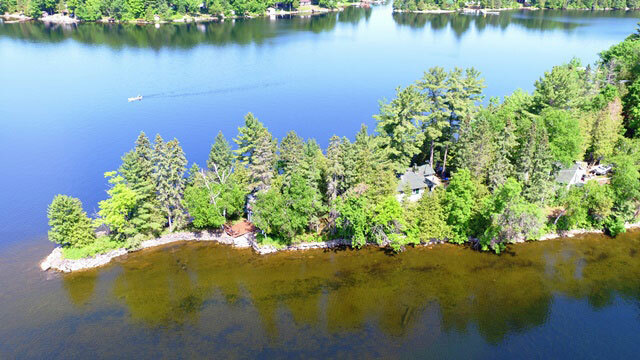 The limestone-bottomed waterfront is excellent for swimming and easily accessed. 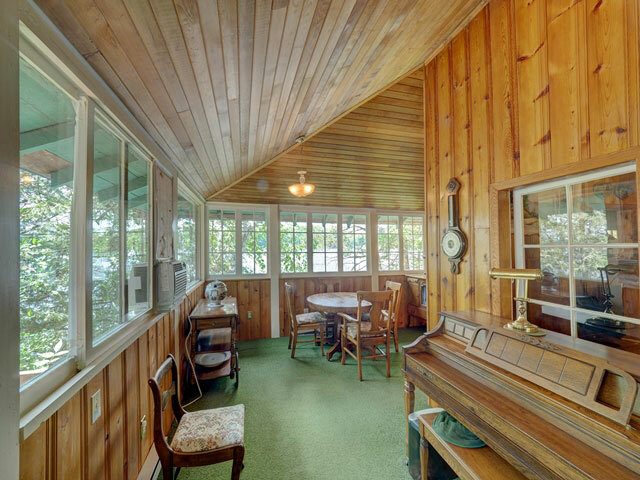 The physical attributes of this charming vintage property are profound and will reward any sensitive refurbishment initiatives undertaken by the new owner.